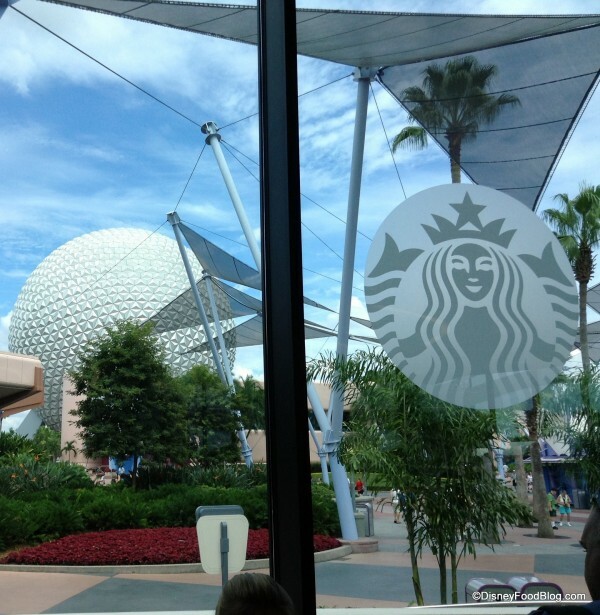 With so much exciting news in the Disney food world lately (hello, Epcot International Festival of the Arts), we have one more treat to put on your radar. 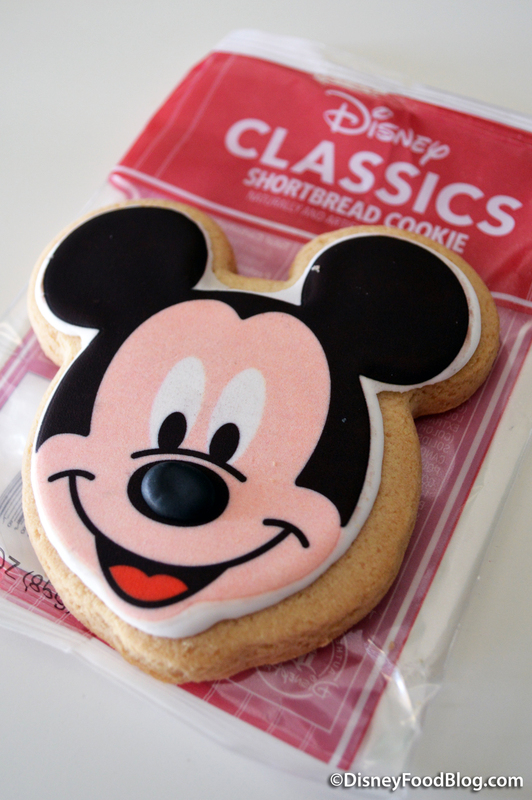 The Disney Classics Shortbread Cookie is popping up on shelves all over the World — and it is adorable. 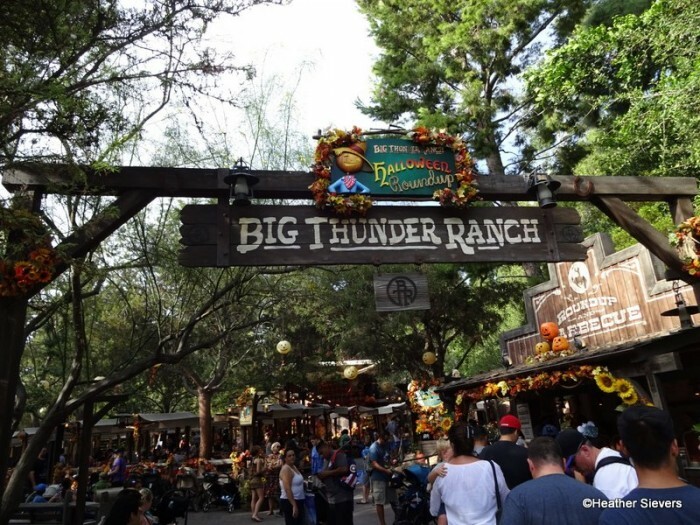 Disneyland’s Big Thunder Ranch BBQ has always been one of my favorites. 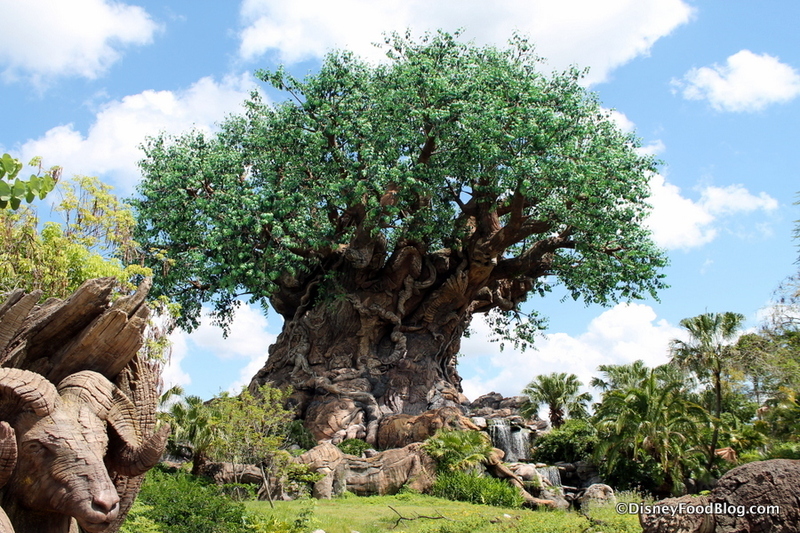 When I heard that it would be closing for good on January 11th, 2016, (in order to make room for Star Wars Land) I knew that I needed to plan a few visits. 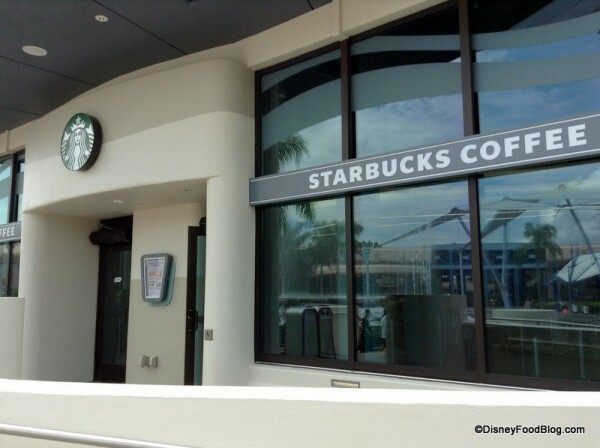 Last year, we shared the announcement that Epcot’s Fountain View Cafe in Walt Disney World would become a Starbucks location. This Future World location that was popular for ice cream treats joins the Main Street Bakery in the Magic Kingdom as a counter service retreat for coffee lovers. Today, we have a FIRST LOOK of the new Fountain View Cafe doing business as a Starbucks! Fountain View Exterior with Starbucks signage. 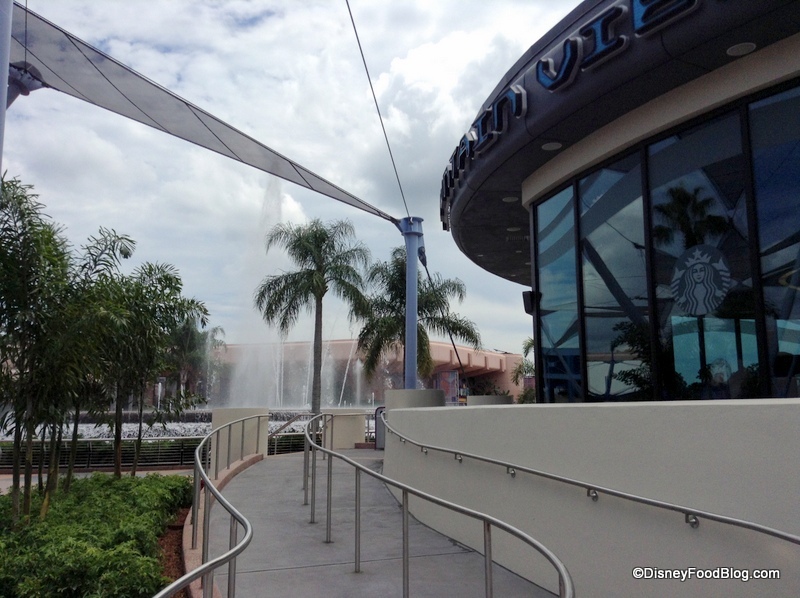 Follow the walkway up into the new, futuristic Starbucks! Guests will see Epcot’s iconic Spaceship Earth reflected in the window with Starbucks logo. 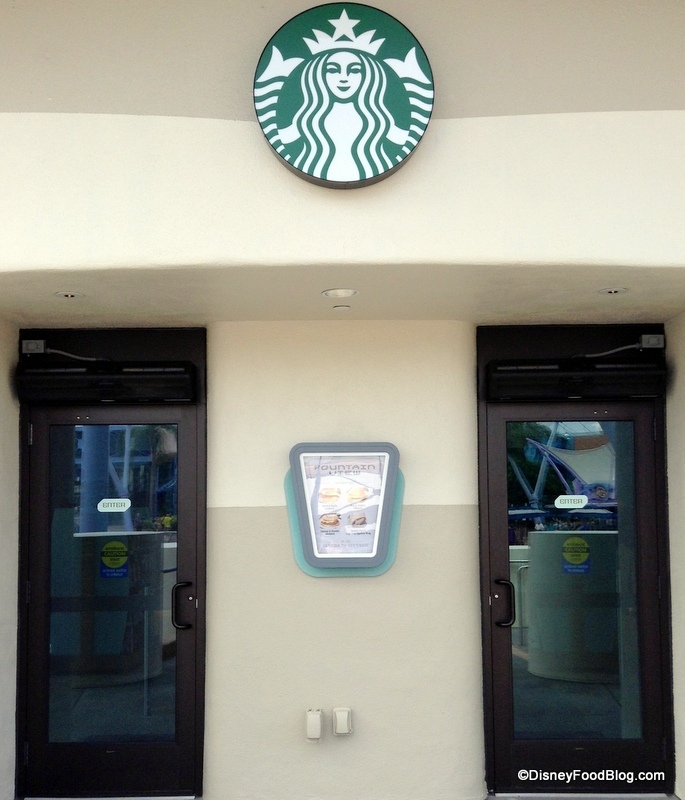 Starbucks is prominently displayed at the entrances and on the windows of Fountain View. 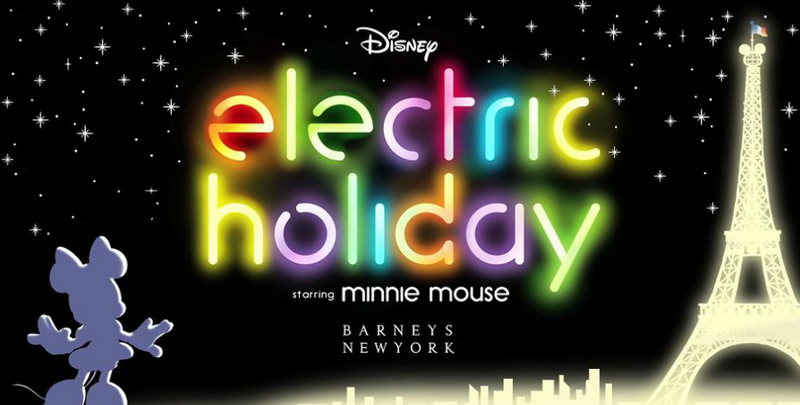 Check out the cool Retro font! Cool example of retro font. Once you’re inside, you’ll be able to survey Future World. 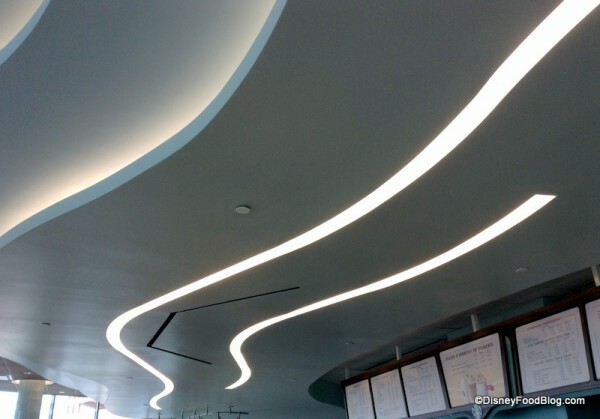 …and check out all of the futuristic additions to the cafe! 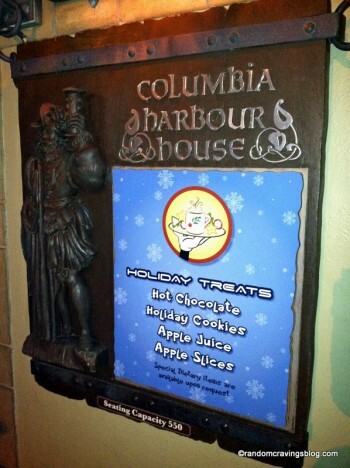 Disneyland Resort restaurants will be offering unique items and special menus to share with your loved one on Valentine’s Day, February 14, 2012. The Plaza Inn will feature a Strawberry Cream Puff ($4.99), and a Valentine’s Day sugar cookie topped with red, pink, and white sprinkles will be offered at Pacific Wharf ($2.99). 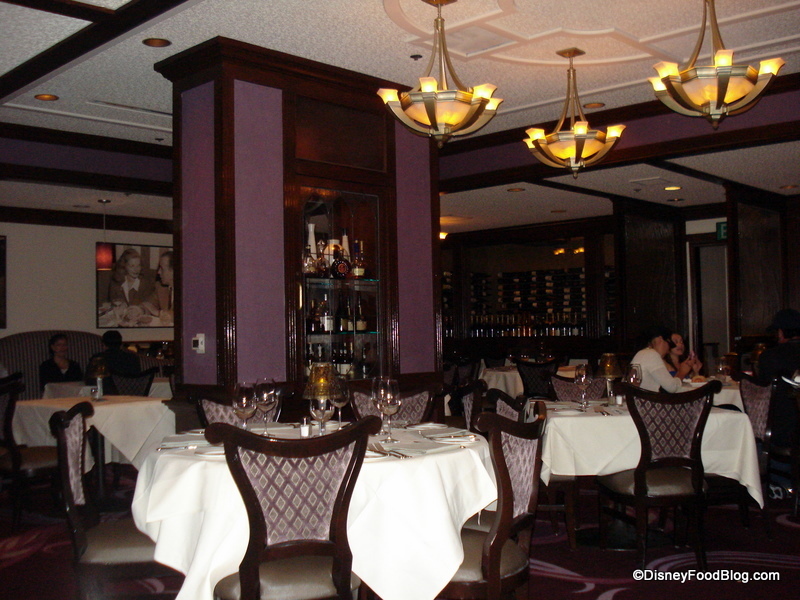 Steakhouse 55‘s dinner package will cost $55 (natch!). Enjoy Strawberry and goat Cheese Spinach Salad with Candied Pecans, Rosebud Champagne Sorbet, and a Surf & Turf entree of Filet and Scallops with Lobster Mashed Potatoes and Broccolini. For dessert, dig into a Chocolate Raspberry Tart. At Blue Bayou, savor Roasted Muscovy duck breast, apricot pine nut stuffing, grand Marnier orange sauce, and roasted parsnip potato puree for $33.99. While you dine in this twilit restaurant, consider the Valentine’s special dessert — Caramelized pear galette, mascarpone frangelico foam, and espresso crème anglase for $7.99. Toast your sweetheart at Wine Country Trattoria, Alfresco Bar, or the Cove Bar in Disney California Adventure with a romantic dessert package. 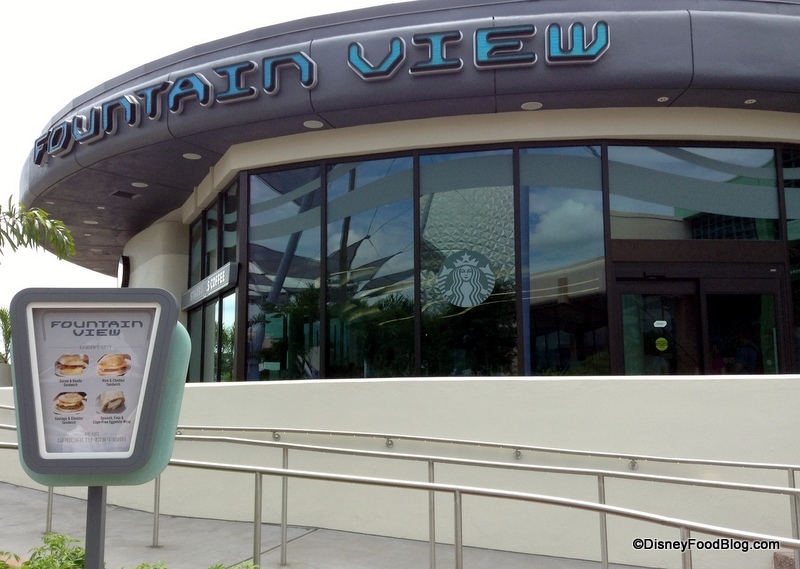 For $25, you’ll get two glasses of Magicale (Disney sparkling wine), 4 chocolate covered strawberries, and a single rose. Sounds delish!! Where will YOU be headed on Valentine’s Day? 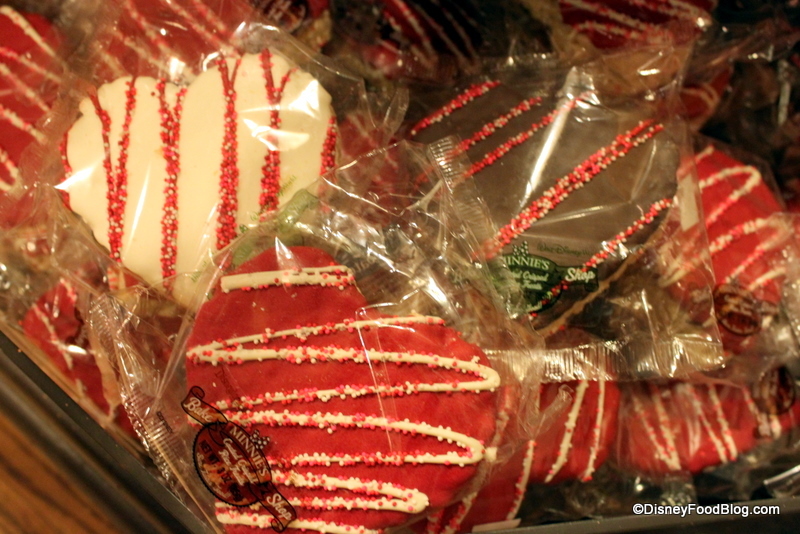 I’m excited to welcome Guest Reviewer Holly Burtchaell from Random Cravings Blog with a fun review of treats found at this year’s Mickey’s Very Merry Christmas Party at Walt Disney World! Warning: This read is sugar-sweet! Although Mr. Random and I have clocked too many trips to Disney World to count, somehow, neither of us has ever experienced Christmas at the Happiest Place on Earth. Luckily, that all changed last week, when we spent an entire week immersed in Disney Christmas happiness. In fact, this year’s very first Mickey’s Very Merry Christmas Party (MVMCP) was also our very first time at that event! 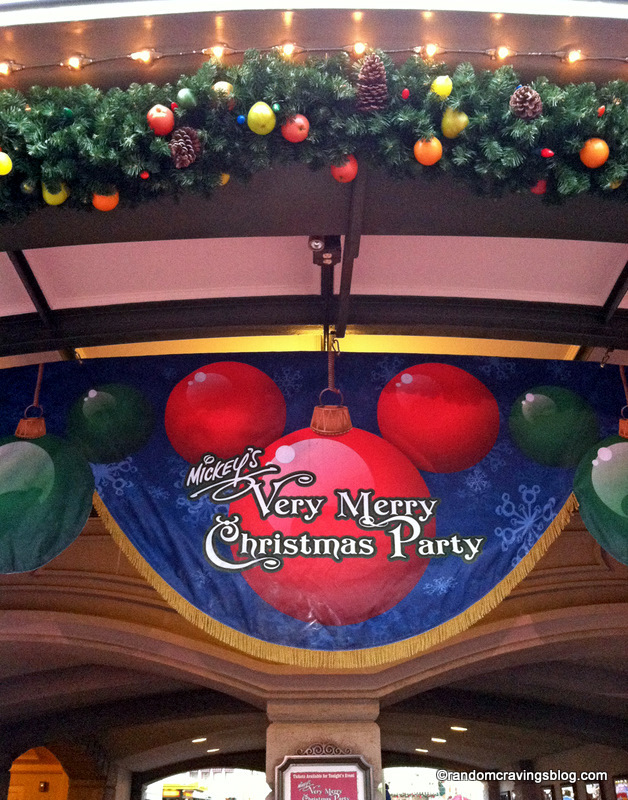 I quickly learned that in addition to being about the Christmas parade, the special fireworks, and the rare character appearances, Mickey’s Very Merry Christmas Party is also filled with yummy holiday treats! Included with your ticket to Mickey’s Very Merry Christmas Party are complimentary cookies and hot cocoa, along with healthier options of apple slices and apple juice. 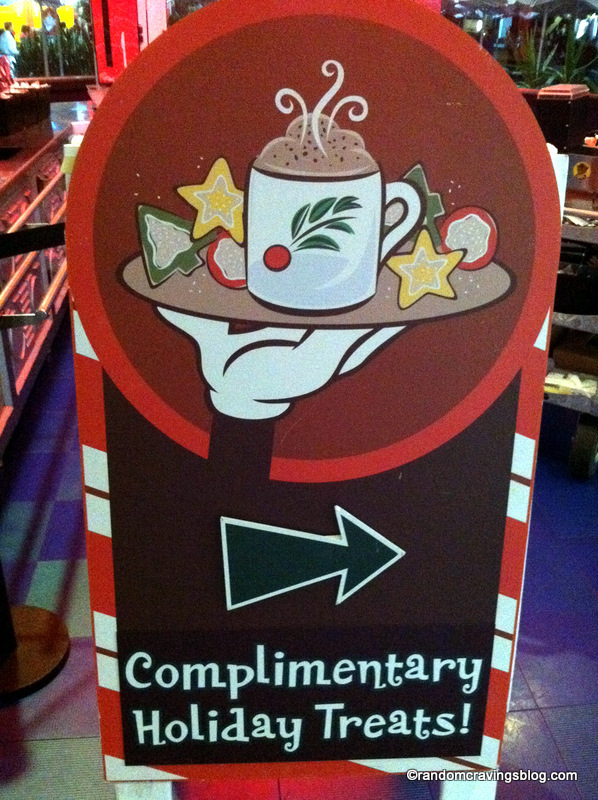 These treats were handed out at several locations around the Magic Kingdom…just follow the signs! 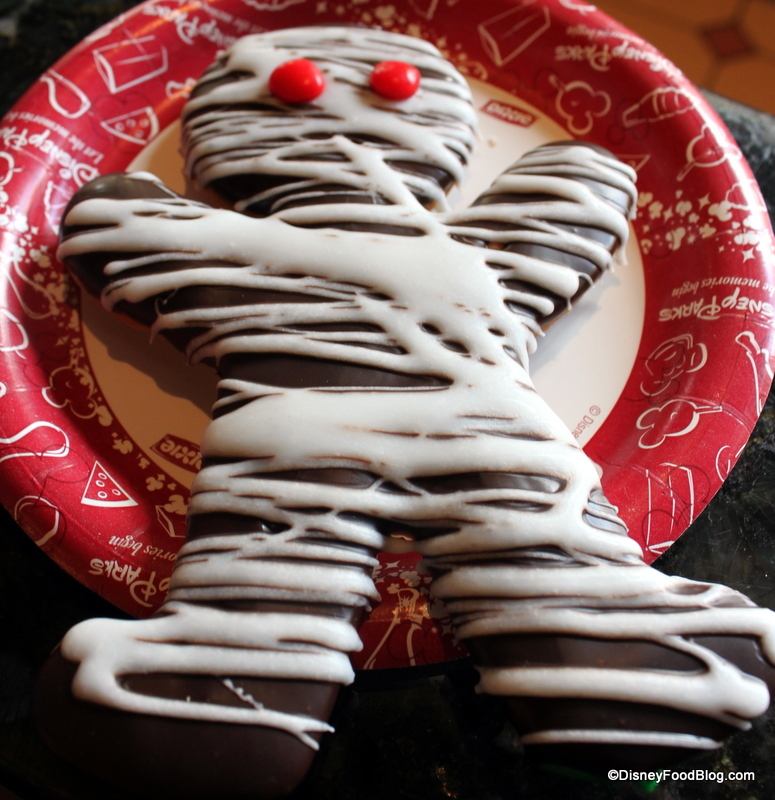 Halloween treats continue to materialize around Walt Disney World in preparation for the fun this Fall. We reported on a few a couple of weeks ago, and Heather showcased some in Disneyland on Thursday; but there are even more to enjoy during this spooky season! 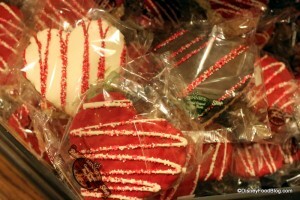 Like last year, the Main Street Bakery has created some inventive goodies to celebrate the season. New for this year’s Halloween season are a chocolate-covered Mummy Cookie and a Graveyard Cupcake.